Note: Serve with buttered cornbread. Cook beef and onions over medium heat; drain. 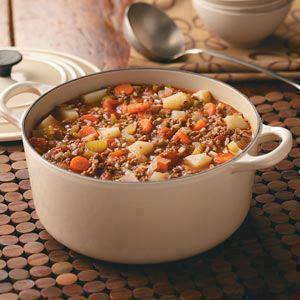 Add tomatoes, carrots, celery, potatoes, water, rice, salt and pepper; bring to a boil. Reduce heat; cover and simmer for 30 minutes until vegetables and rice are tender. Uncover; simmer 20-30 minutes longer or until thickened! 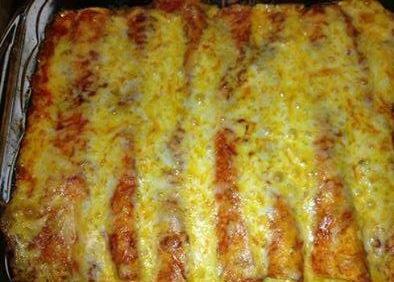 two spoons of sauce into baking dish, take a tortilla, fill with meat, add green chilis, olives, onion, and cheese and roll up and place at far end of dish. Repeat until there is no more room in the dish usually about 8-10 enchiladas for a 9x13" dish. 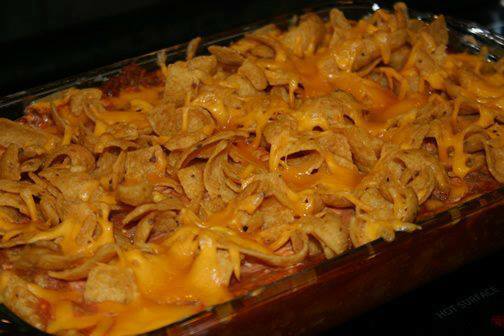 Spoon more sauce on top of enchiladas and cheese bake at 350 for 20-25 min. Beat or whisk the cream cheese and eggs until smooth. Add the seasoning; mix well. Stir in the cheese and crushed chips; mix well. 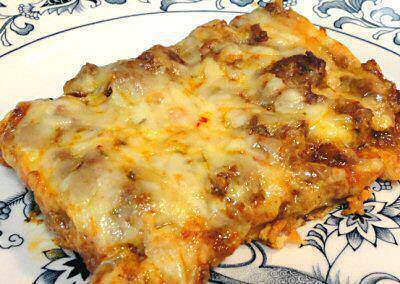 Grease a 9x13" baking dish or line with parchment paper; spread the cheese mixture evenly over the bottom. Bake at 350º, 35 minutes or until browned, but not too dark. Let stand 5-10 minutes before adding the topping. The addition of the tortilla chips makes a big difference in this dish and adds less than a carb per serving. I was making the crust for my Enchilada Bake recipe and threw the crushed chips in on a whim. I wasn't even sure if such a tiny bit would be noticeable but was pleasantly surprised to find that they add a nice corn tortilla flavor. 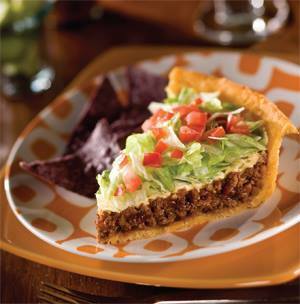 In a medium sauce pan, melt butter & Add milk, 2 Tbs taco seasoning, mixing well. Remove from heat, add potato flakes, mixing until incorporated. Press mixture into the bottom of a regular pie plate, then Bake the "crust" for 7-10 minutes until it just BARELY turns golden brown. In the meantime, cook beef & onions in a skillet until beef is browned and cooked through. Drain. Add Salsa & remaining taco seasoning. Cook until bubbly. Pour into crust. Bake for 15 minutes, or until crust is golden brown. 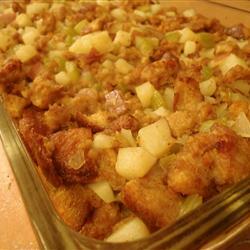 Place sausage, potatoes, celery, onion and butter in a large, deep skillet. 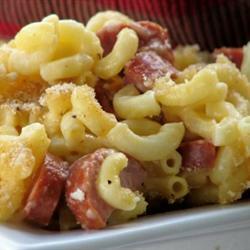 Saute over medium high heat until sausage is crumbled and evenly cooked. Combine the bread cubes, thyme, sage, salt and pepper. Toss together with the sausage and potato mixture. Add chicken or vegetable broth if needed. Bake stuffing in a covered casserole dish for 40 to 50 minutes. In 4-quart Dutch oven, heat oil over medium-high heat. Cook 1 pound of beef at a time in oil, stirring occasionally, until brown; remove from Dutch oven. Add onion and bell pepper to Dutch oven. Cook 2 to 3 minutes, stirring occasionally, until crisp-tender. Stir in remaining ingredients except beef. Cover and cook over medium heat 10 minutes. Stir in beef. Cook uncovered 3 to 8 minutes or until beef is tender. 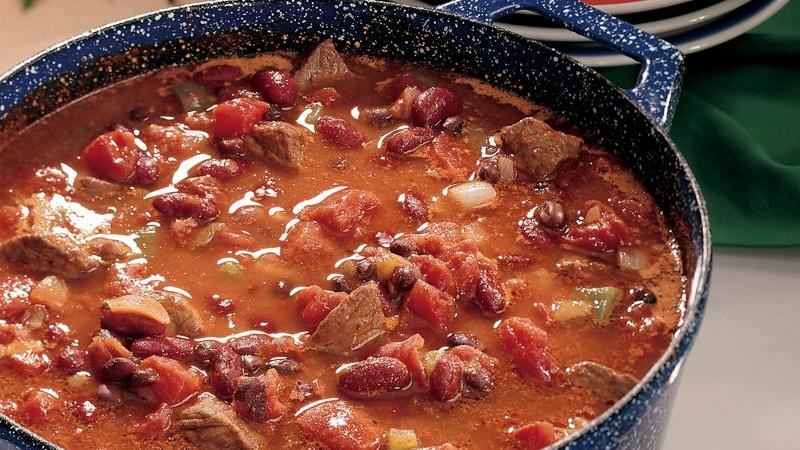 Browning the beef gives this chili rich flavor. 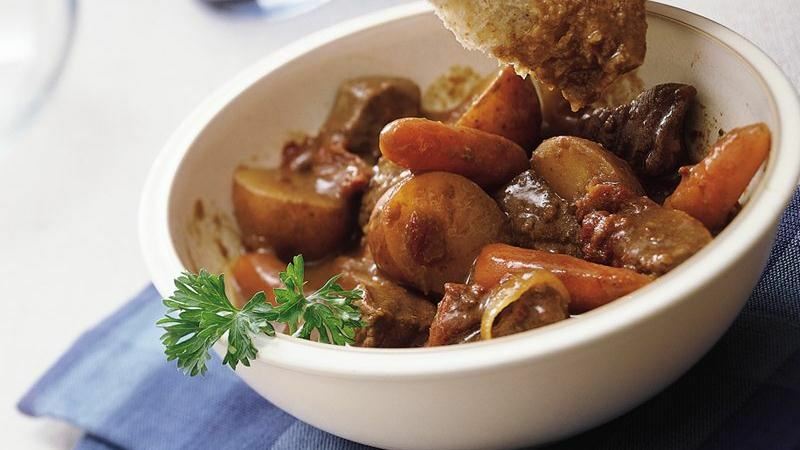 To avoid simmering the beef instead of browning it, make sure you brown it in batches rather than all at once. 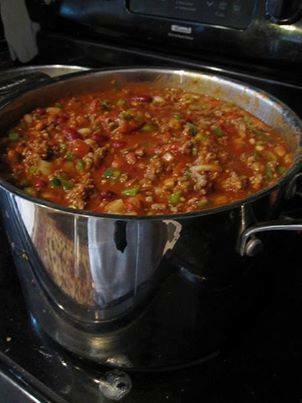 Leftover chili is great served over spaghetti, added to tacos or burritos or spooned over a baked potato and sprinkled with cheese.